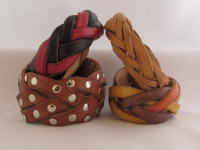 Here you will find a selection of hand made bags, belts, purses, tobacco pouches and more. New products are added regularly, so watch this space! Both modern and historical designs. Bags for daily use and re-enactment. A lovely selection of barrettes (hair grips). Modern belts and medieval styles suitable for re-enactment. 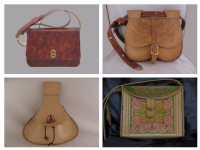 A selection of purses that can be used by ladies or gents. 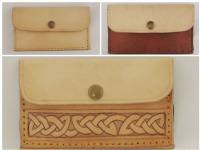 Stylish and functional wallets in a variety of designs. A variety of stylish wristbands available in a range of sizes.